I have recently been learning Python and am dipping my hand into building a web-scraper. It's nothing fancy at all; its only purpose is to get the data off of a betting website and have this data put into Excel. Most of the issues are solvable and I'm having a good little mess around. However I'm hitting a massive hurdle over one issue. If a site loads a table of horses and lists current betting prices this information is not in any source file. The clue is that this data is live sometimes, with the numbers being updated obviously from some remote server. The HTML on my PC simply has a hole where their servers are pushing through all the interesting data that I need. Now my experience with dynamic web content is low, so this thing is something I'm having trouble getting my head around. I do apologize if this question is too open-ended. In short, my question is: how can scrapy be used to scrape this dynamic data so that I can use it? So that I can scrape this betting odds data in real-time? Tip: log is cleared every time you load a page, at the bottom of the picture, the black dot button will preserve log. Firefox has similar extension, it is called firebug. Some will argue that firebug is even more powerful but I like the simplicity of webkit. Here is a simple example of using scrapy with ajax request. 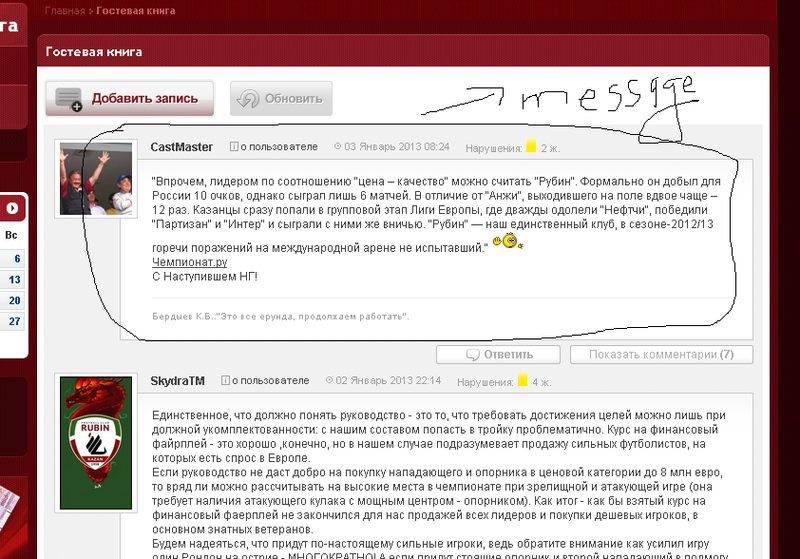 Let see the site http://www.rubin-kazan.ru/guestbook.html All messages are loaded with an ajax request. My goal is to fetch this messages with all their attributes (author, date, ...). When I analyse the source code of the page I can't see all these messages because the web page use ajax technology. But I can with Firebug from Mozila Firefox (or an analogy instrument in other browser) to analyse the Http request that generate the messages on the web page. 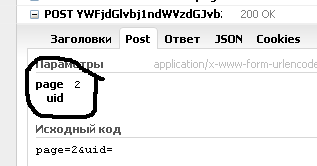 After finish I analyse the headers of request (I must quote that this url I'll extract from source page from var section, see the code below). which present all information I'm looking for. From now I must implement all this knowledge in scrapy. Let's define the spider for this purpose. In parse function I have the response for first request. In RubiGuessItem I have the json file with all information. However, if you use Scrapy along with the web testing framework Selenium then we are able to crawl anything displayed in a normal web browser. You must have the Python version of Selenium RC installed for this to work, and you must have set up Selenium properly. Also this is just a template crawler. You could get much crazier and more advanced with things but I just wanted to show the basic idea. As the code stands now you will be doing two requests for any given url. One request is made by Scrapy and the other is made by Selenium. I am sure there are ways around this so that you could possibly just make Selenium do the one and only request but I did not bother to implement that and by doing two requests you get to crawl the page with Scrapy too. This is quite powerful because now you have the entire rendered DOM available for you to crawl and you can still use all the nice crawling features in Scrapy. This will make for slower crawling of course but depending on how much you need the rendered DOM it might be worth the wait. The main advantage to implementing it this way rather than in the spider is that you only end up making one request. In A T's solution for example: The download handler processes the request and then hands off the response to the spider. The spider then makes a brand new request in it's parse_page function -- That's two requests for the same content. I was using a custom downloader middleware, but wasn't very happy with it, as I didn't manage to make the cache work with it. A better approach was to implement a custom download handler. """use semaphore to guard a phantomjs pool"""
And voilà, the JS parsed DOM, with scrapy cache, retries, etc. how can scrapy be used to scrape this dynamic data so that I can use it? I wonder why no one has posted the solution using Scrapy only. Check out the blog post from Scrapy team SCRAPING INFINITE SCROLLING PAGES . The example scraps http://spidyquotes.herokuapp.com/scroll website which uses infinite scrolling. The idea is to use Developer Tools of your browser and notice the AJAX requests, then based on that information create the requests for Scrapy. There are Two approaches to scrapy these kind of websites. As everyone is stating, by monitoring the network calls, yes, you can find the api call that fetch the data and mock that call in your scrapy spider might help you to get desired data. How can I get the events for a Facebook page?